Category 5 UL/cUL verified and listed. 22-26 AWG 110 IDC contacts. 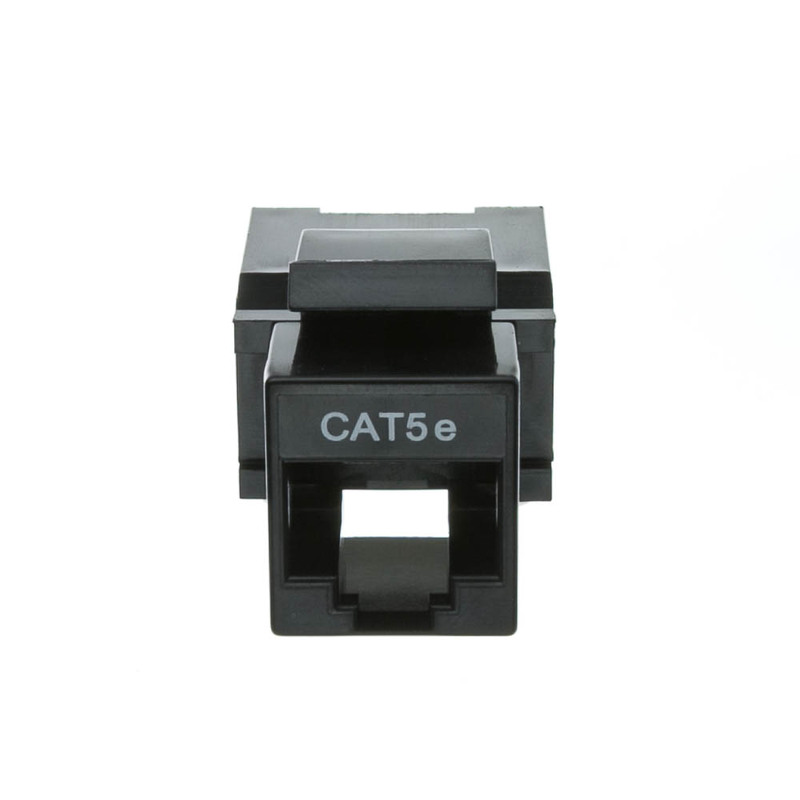 More Product InfoThe CableWholesale team knows you need the right equipment to easily terminate your network cable runs, and we’re here to help with our Black Cat5e RJ45 Keystone Jack. 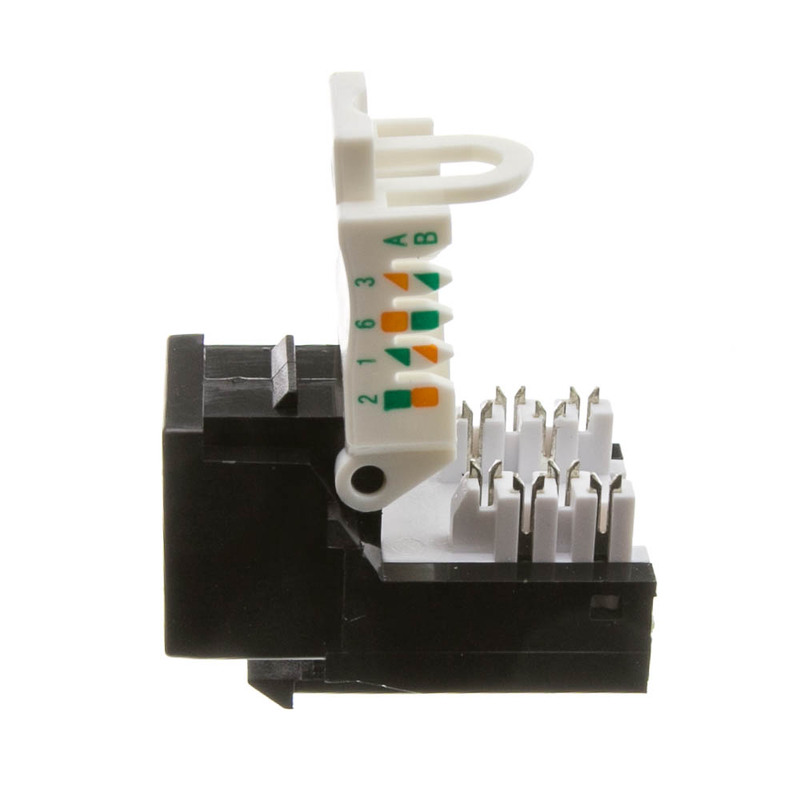 Because this jack allows you to quickly link up wires by compressing its plastic cover, it offers a completely toolless installation process. 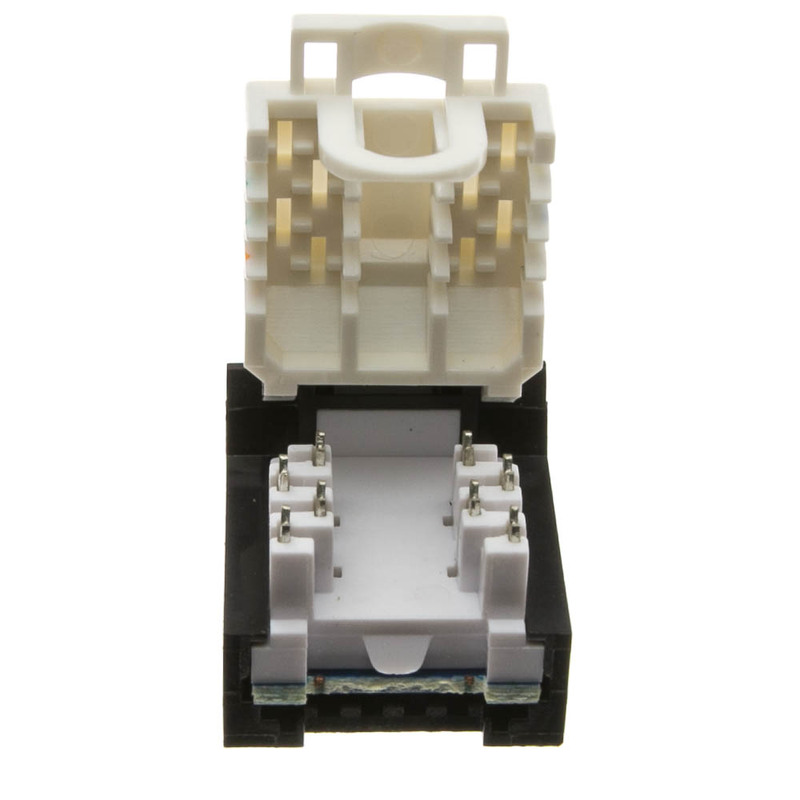 With this keystone jack, you can expect a smooth connection between your 110 type punch down to Cat5e, and it is even compatible with our patch panels, wall plates, and mount boxes. Other features of this UTP keystone jack include its anti-corrosive gold connectors and pure copper conductors for increased signal strength. 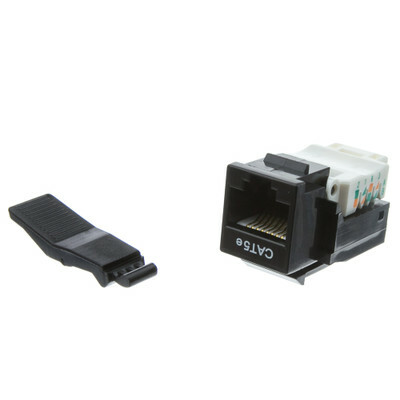 With its thermoplastic ABS housing you can rest easy knowing the Black Cat5e RJ45 Keystone Jack is a quality product. It even exceeds the EIA/TIA-568-C standard. 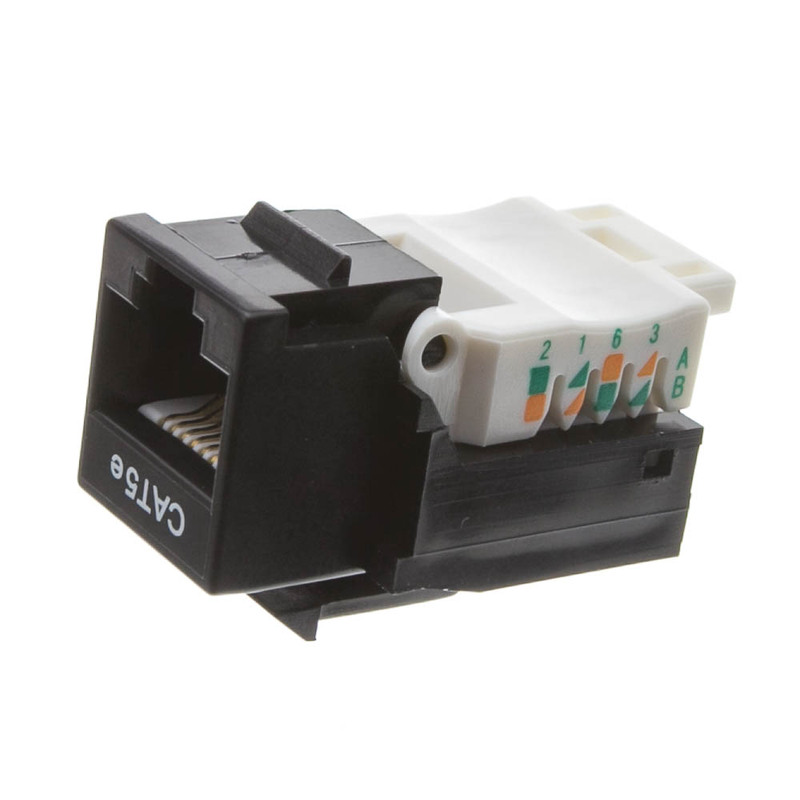 For more details about this keystone jack, please contact CableWholesale today!